Both the Báb and Bahá’u’lláh owned slaves of African descent. While the Báb purchased several slaves, Bahá’u’lláh acquired his through inheritance. Bahá’u’lláh officially condemned slavery in 1874, by which time he had actually sold a slave to pay debts. References are made to these slaves in such works as ‘Abdu’l-Bahá‘s Promulgation of Universal Peace, Lady Blomfield‘s The Chosen Highway, and Nabíl-i-A`zam‘s The Dawn-Breakers. The details of some of the Báb and Bahá’u’lláh’s African servants are chronicled in Black Pearls, a book that, despite efforts at censorship by the Bahá’í Administrative Order, was published by the independent Bahá’í publishing company Kalimát Press. Hájí Mubárak- purchased at the age of 5 years old by Hájí Mírzá Abú’l-Qásím, the great-grandfather of Shoghi Effendi and brother-in-law of the Báb, Hájí Mubárak was sold to the Báb in 1842 at the age of 19 for fourteen tomans. Nabíl-i-A`zam relates in The Dawn-Breakers that Mullá Husayn, the first Letters of the Living, was welcomed at the Báb’s mansion by Hájí Mubárak. Hájí Mubárak died at about the age of 40 and is buried in the grounds of the Imam Husayn Shrine in Karbala, Iraq. Fiddih- acquired by the Báb when she was no older than 7 years of age, Fiddih served the Báb’s wife Khadíjih-Bagum. Fiddih would die the same night as her master. Masúd- initially purchased as a youth by Khál-i Akbar, an uncle of the Báb, Masúd would serve Bahá’u’lláh in Acre. ‘Abdu’l-Bahá (1982). Promulgation of Universal Peace: Talks Delivered by Abdu’l Baha during His Visit to the United States and Canada in 1912. Bahai Publishing Trust, 2nd Edition. p. 426. ISBN978-0877431725. ·Blomfield, Sara Louisa Ryan (2007). The Chosen Highway. George Ronald Publisher. p. 40. ISBN 978-0853985099. ·Munirih Khánum (1987). Munirih Khánum: Memoirs and Letters. Kalimat Press. pp. 26–37. ISBN 978-0933770515. ·‘Abdu’l-Bahá (1982). Promulgation of Universal Peace: Talks Delivered by Abdu’l Baha during His Visit to the United States and Canada in 1912. Bahai Publishing Trust, 2nd Edition. p. 426. ISBN 978-0877431725. ‘Abdu’l-Baha (1982). Promulgation of Universal Peace: Talks Delivered by Abdu’l Baha during His Visit to the United States and Canada in 1912. Bahai Publishing Trust, 2nd Edition. ISBN 978-0877431725. Blomfield, Sara Louisa Ryan (2007). The Chosen Highway. George Ronald Publisher. ISBN 978-0853985099. Munirih Khánum (1987). Munirih Khánum: Memoirs and Letters. Kalimat Press. ISBN 978-0933770515. This is true for virtually every article on Wikipedia relating to the Baha’i Faith. Notice they have removed the list of some of their slaves. They did this, I believe, because enumerating and humanizing the Bab and Bahaullah’s numerous slaves contextualizes the degree to which they were slave masters. 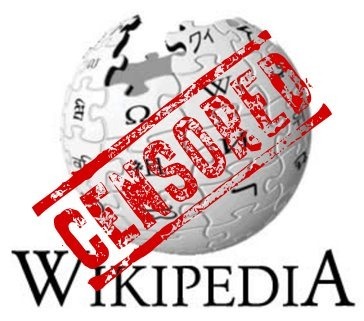 Other articles in Wikipedia relating to Baha’i topics have fared as much editorial censorship if not more. The article on Baha’i prophecies does not list the obviously failed ones, but vague ones remain as if having been fulfilled. No reference to the Lesser Peace being expected the last century, Abdul Baha saying the Guradianship would continue in perpetuity, etc. Other examples abound, like Avarih’s having left the Faith due to his finding Shoghi in compromising romantic situations, Bahaullah’s encouraging violence against followers of Subhi Azal. Or that many of the Baha’i holy sites were expropriated from Muslim waqfs after the establishment of the state of Israel.I could go on, the point is there is a cadre dedicated to nothing other than editing Wikipedia articles to eliminate facts, truths, call them what you will, that compromise the official narrative. Ultimately, Wikipedia for them is another mechanism to proselytize. Tagged Fraud, Haifan, Slavery, Wikipedia.